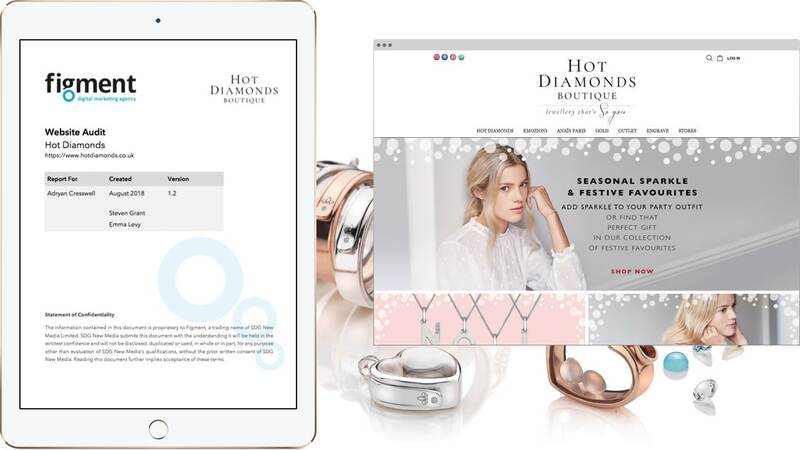 Hot Diamonds is an award-winning jeweller with a strong digital and offline presence. The desire was to evaluate its e-commerce website and increase conversions. Our experts completed a full user experience audit, providing invaluable information and actionable results for Hot Diamonds to truly shine. Finding the Crown Jewels. In PDF Format. Hot Diamonds wanted to know what was working well on its website and what could be improved. E-commerce manager Adryan Cresswell approached Figment looking for an independent and actionable user experience audit to inform his team. Following initial consultation, Figment set to work on an expert visual review, or a ‘heuristic evaluation’ as we like to call it. Our experts provided supporting evidence, screenshots and recommendations for action. It’s great to be in the know. UX Review. Let’s Make it Sparkle. Little things matter. In web design, small touches and improvements can make a significant difference to the website experience. 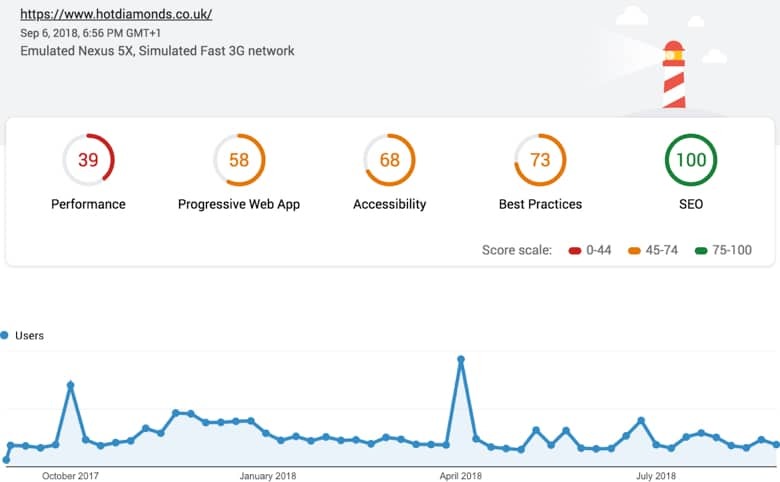 Frustrated users will quickly ‘bounce’ off a poor web page, but visitors will embrace a beautiful website that is easy to use. For Hot Diamonds, we outlined many suggestions with regards to alignments and spacing, and raised concerns over mouse hover effects. Our comments took the importance of a boutique, minimalist appearance into consideration. Technical Analysis. The Extra Bling. Adryan also asked Figment to perform a mini technical review of the site. After testing the site across browsers and reviewing code against the best practices outlined by the W3C, we found a few errors that could be fixed quickly and easily. The impact? A faster-loading website, better search engine visibility and increased sales. A rough diamond became hot. A useful and thorough review of our website which highlighted areas that were strong as well as areas that required improvement. The follow up call service was also thorough and it feels Figment have a genuine wish to help improve conversion rates and AOVs. Some great ideas transpired from this!